Parliament’s presiding officers on Saturday paid tribute to “that courageous ’76 generation” of young South Africans for their immense contribution to the struggle for democracy. “It was 42 years ago, on 16 June 1976, when courageous young people rejected an oppressive educational system designed to restrict the intellectual development of Africans and relegate them to a position of perpetual servitude,” parliament said in a statement commemorating Youth Day on Saturday. “With their heroic open defiance, the generation of ’76 intensified the revolutionary journey towards constitutional democracy – based on values of human dignity, achievement of equality, advancement of human rights and freedoms, a parliament representing the people and government by the people,” the institution said in a statement. “Today, we pay tribute to that courageous ’76 generation of young South Africans for their immense contribution to our struggle for democracy. “It is also a time to reflect on what our democracy must still do to realise the aspirations and unleash the full potential of young South Africans who constitute a significant majority of our population. Indeed, our country has a unique opportunity to harness the youthful energy of its population to build an inclusive economy, create much-needed jobs, and end inequality and poverty. “As the national legislative authority, parliament continues to ensure government of the people under the Constitution by providing a national forum for public consideration of issues, passing legislation, and overseeing executive action to ensure the realisation of, among others things, the National Development Plan. 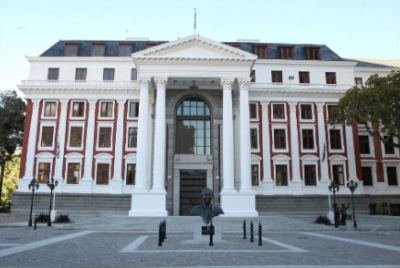 Through the assessment and review of key legislation exercise conducted recently, parliament will ensure that it accelerates change to radically better the quality of life of all South Africans,” the statement said. “This year we also celebrate the centenary birthdays of former president Nelson Rolihlahla Mandela and Ms Albertina Sisulu, prominent and steadfast leaders of our struggle for democracy. We must learn from the principles by which they lived to enrich our efforts to realise fully the society envisioned in our Constitution. Tackling the blights of poverty, unemployment, and inequality still troubling so many of our people needs unity of purpose from all of us,” parliament said.